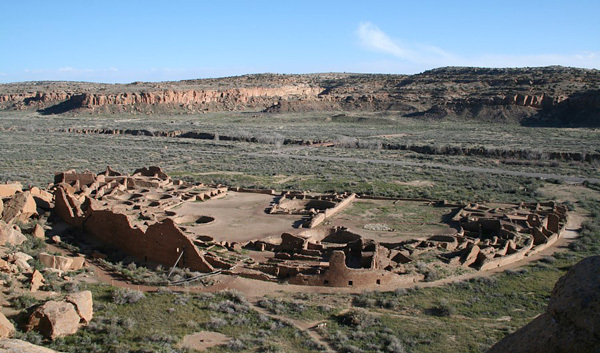 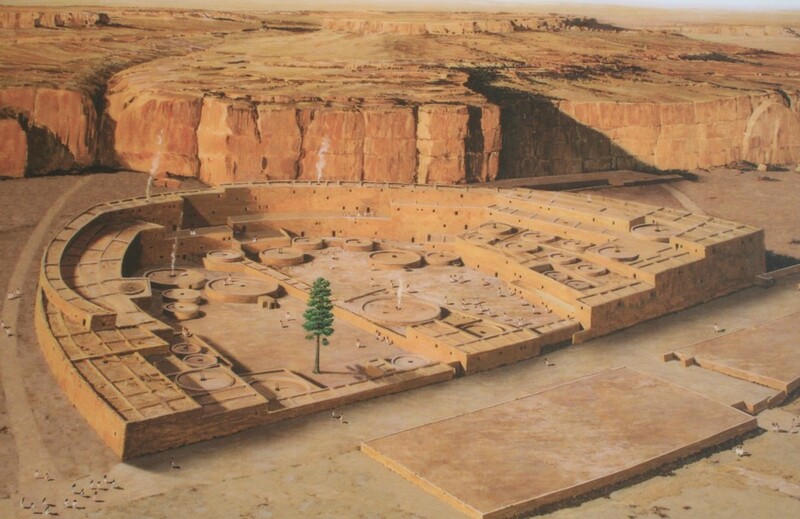 D-shaped Pueblo Bonito, possibly five stories tall along the outer arc, has the greatest number of rooms, estimated at 650 rooms, of the Great Pueblos in Chaco Canyon. This view is from the mesa to the North of the ruin. 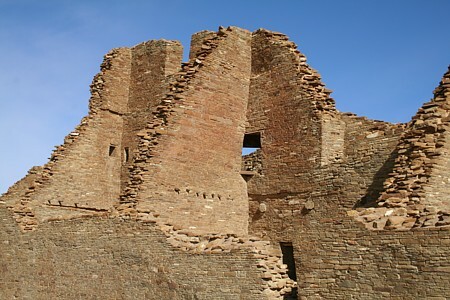 The center wall aligns to true North. 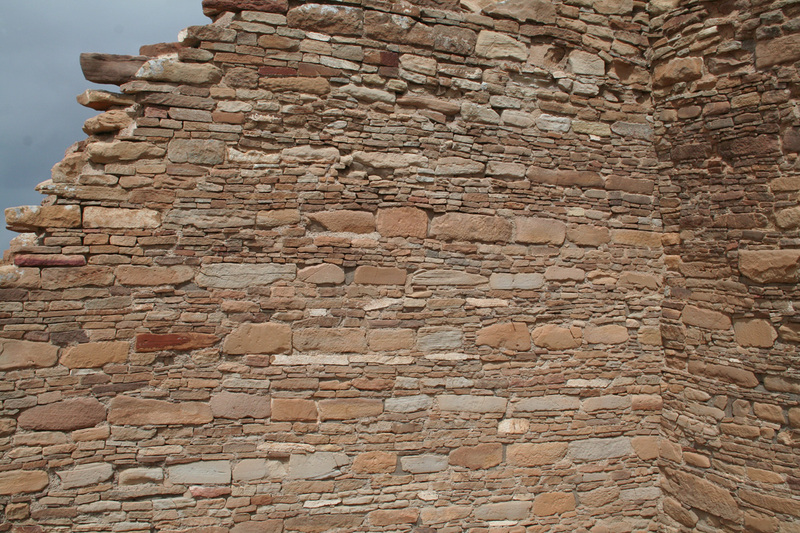 Tall section of curved north wall. 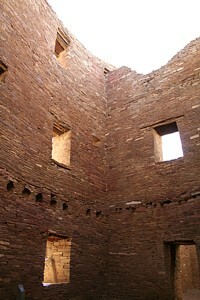 View of north wall from inside the D-shaped great house. 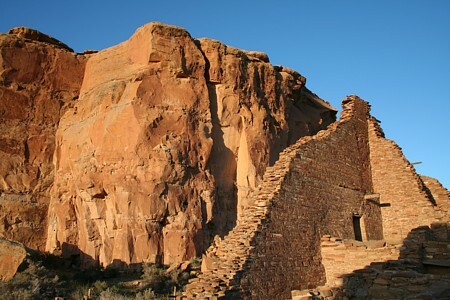 Northeast area where threathening rock fell into the north wall. 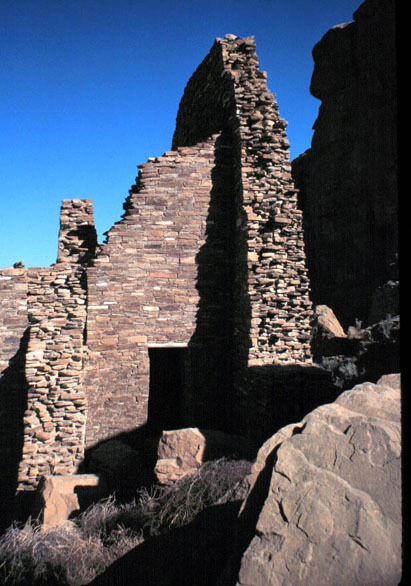 Threathening rock destroyed an entire section of rooms. 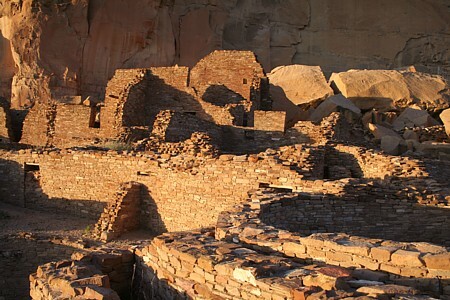 The style of masonry varies at the various great houses in Chaco Canyon. 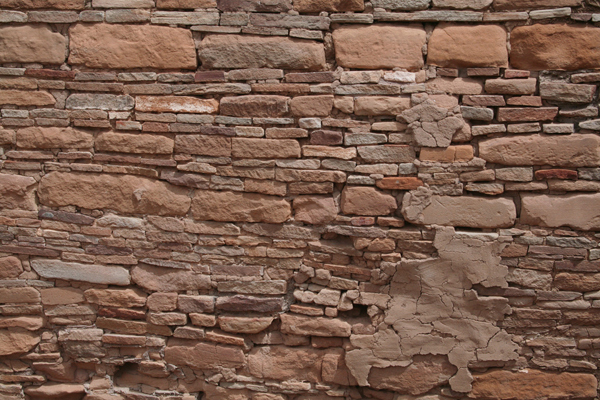 All the very-high quality masonry is lain with adobe mortar. 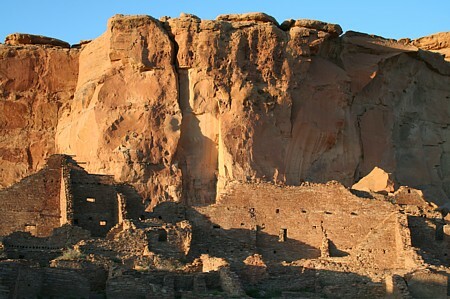 Nonetheless, the beautiful artistry was covered with stucco and probably painted. 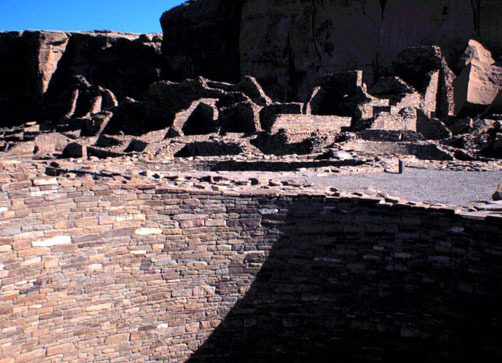 It is all the more impressive for having survived near 1,000 years in an exposed area. 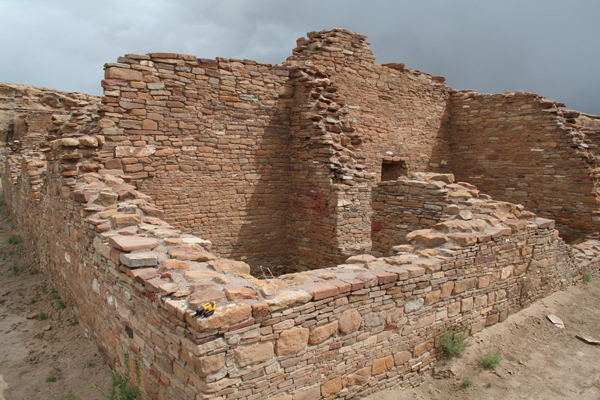 View of a three-story section of the southeast corner from within one of the larger rooms. 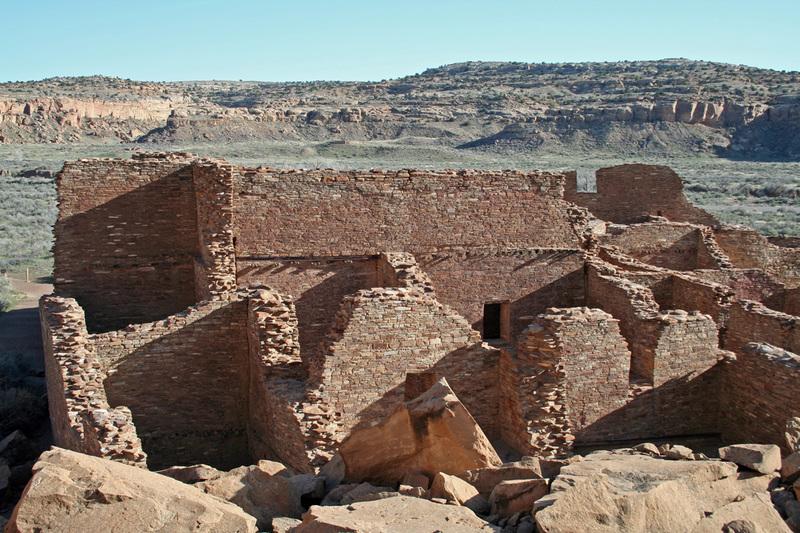 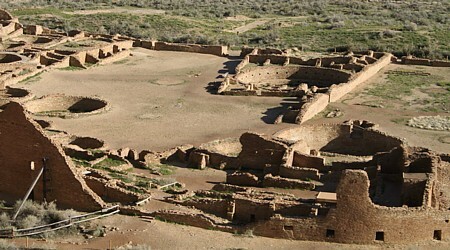 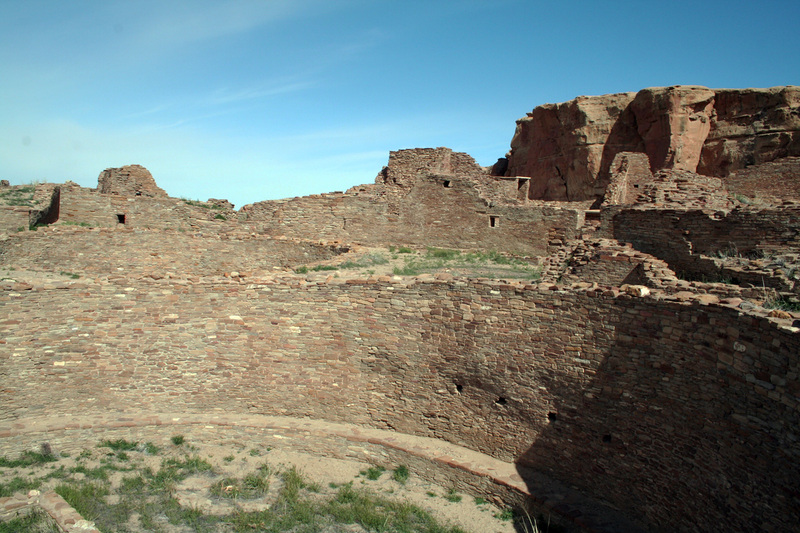 The outer, curved wall of Pueblo Bonito is seen in this view. 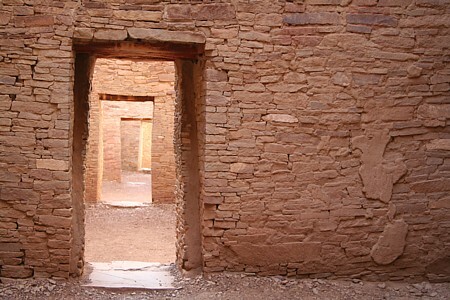 The masonry bonding reveals that the outermost row of rooms was an addition. An atypical corner opening is seen in this view of the highest walls in the southeast corner. This opening has received some speculative attention about its astronomic alignment. 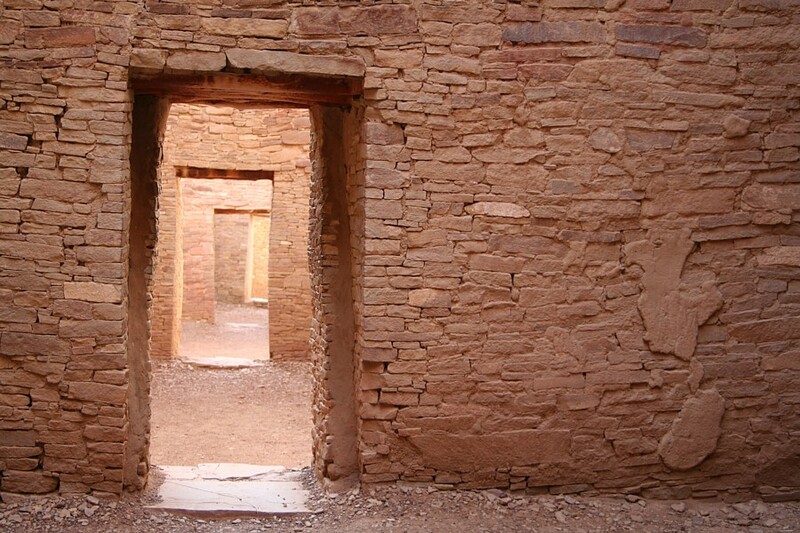 It is not known if light entered the room in prehistoric times because the outer walls (foreground) are collapsed. 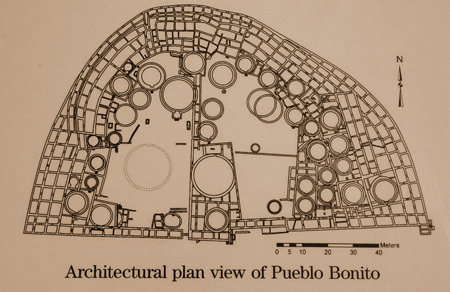 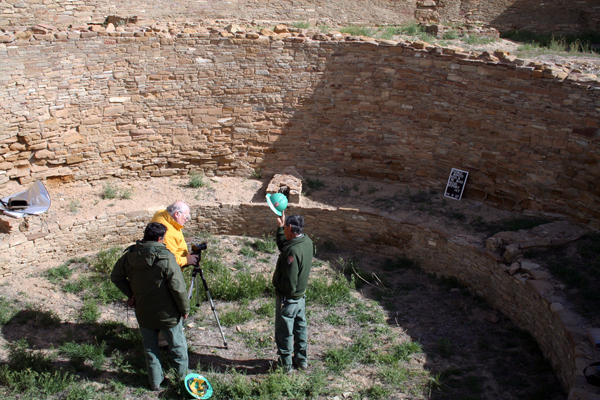 The firmly established astronomic features of Pueblo Bonito include precise alignments to the cardinal directions, of the North-South wall and the southern-most wall (aligns due east-west). 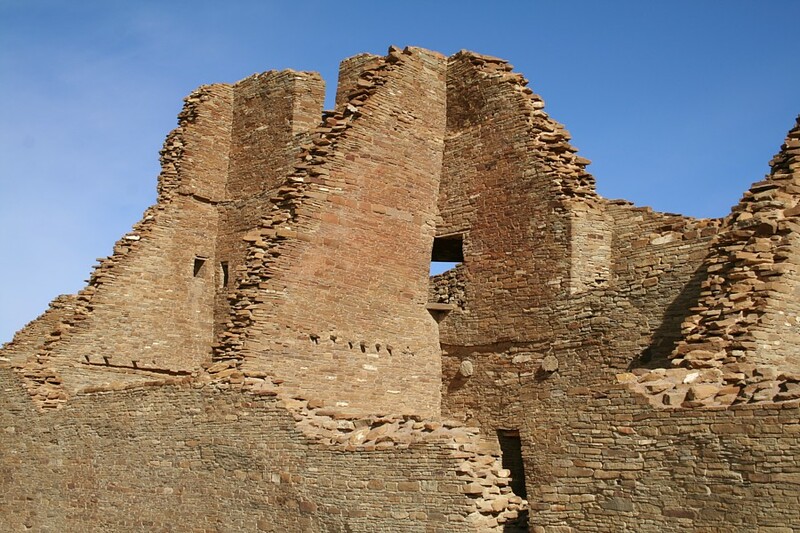 as displayed on interpretive plaques at the ruin.